A Dumb Way to Price! 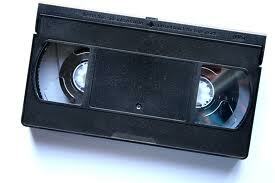 When movies first came out on VHS cassettes (remember them? ), the movies studios thought they could sell copies for $70 - $80 each. It turned out to be a dumb way to price. The studios worked out what the typical family would pay to see a movie at a cinema, and multiplied that number by two, an estimate of the number of times the movie would be watched at home. But consumers were not paying for an experience in a multiplex cinema complex on a big screen, and the pricing strategy failed to gain traction. The rest, as they say, is history. When used the right way, there is merit in setting the price of a product relative to the price of another. Many years ago, when I worked at a chain of Internet cafes that were rapidly expanding from London, to elsewhere in Europe and New York (in the pre-Wi-Fi and pre-Euro days), the launch price for one hour of Internet access would be determined by reference to the price of a morning newspaper and a cappuccino in the country we were expanding into. So, for example, we would price one hour of Internet access in Spain at 250 pesetas, in Italy at 200 lira, and in Germany at 2.50 Deutschmark. This is a common way of setting prices. I was recently talking to one of Australia’s foremost image consultants, and that's exactly how she prices her services: relative to the price of a hairdressing appointment. This approach to pricing will generally serve you well…initially: just be prepared to fine-tune your pricing based on customer and competitive feedback, as the movie studios had to. But you do need to be mindful that the relative price has been correctly set. And while there is no such thing as a perfect price, relative pricing anomalies should be easy to spot. Earlier this year, I was sitting in the bar at Manila Airport, when a traveller next to me started a conversation. He went on to tell me that a packet of cigarettes in the Philippines costs less than one Australia dollar. Viewed another way, the price of a packet of cigarettes in Australia is equivalent to some Filipino’s daily wage (that might explain why my taxi driver stopped to buy just 2 loose cigarettes from a roadside seller on the way to the airport). The message should be very straightforward. If you are pricing something relative to something else, make sure it’s an appropriate comparator: a newspaper or cappuccino in Europe would work better than a price of cigarettes in The Philippines. It may also be beneficial not to mention the relative or comparator product. When Apple launched the iPod, they didn’t mention that it was a storage device for mp3 files. It was an expensive personal music player, so expensive in fact that modern pricing folklore has it that iPod is an acronym for “Idiots Price Our Devices”.